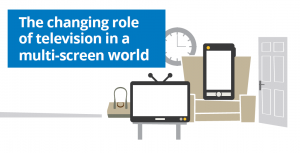 I recently read an interesting study, commissioned by Google, entitled “The New Multi-screen World: Understanding Cross-platform Consumer Behavior” [PDF here]. The research topic was broad, and several interesting theses were put forward by the researchers. There were a few points in particular that resonated with me and inspired this post. So, as I go forward with my ideas, keep in mind that I’m not going to cover or summarize the entire study’s contents.